Christ has risen! He has risen, indeed! It is so true. We're going to take the time today to build your faith by reviewing the evidence of Jesus' resurrection. Please read 1 Corinthians 15:12-23 before starting GraspingGod.com's free Bible study lessons, #1.22. 1) What would have happened had Jesus remained physically dead? 2) Who actually raised Jesus from the dead? 3) How does Jesus prove himself today? Christ has risen! The thought thrills my soul, because Jesus gives me sure hope for eternity. He rose from the grave, and he promises I'll rise from the grave, too. Wow, let's find out some of the facts behind Jesus' resurrection. Our central Bible passage finds Paul discussing the importance of the resurrection to our lives, "And if Christ has not been raised, then all our preaching is useless, and your faith is useless. And we apostles would all be lying about God — for we have said that God raised Christ from the grave. But that can’t be true if there is no resurrection of the dead." (1 Corinthians 15:14-15). 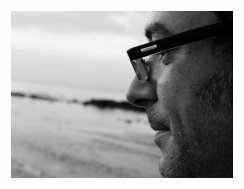 Paul argues that Christ has risen, or the Bible and disciples are frauds. 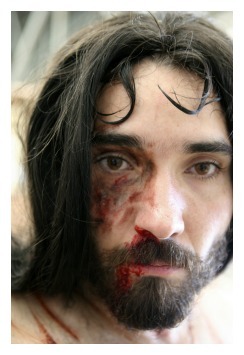 Jesus Christ was arrested, sentenced, and then tortured beyond recognition. He died while hanging from the cross. Two men applied perfumed ointment to him, wrapped him in burial linens and finally laid him in a new tomb where he remained for three days. His physical death and burial was absolutely complete, factual and final. The biblical claim that Christ has risen is only the start of evidence needed to believe the truth. If Jesus Christ had remained in his dead state there would be little value in his earthly life or death. It would not have accomplished anymore than an example on how to live selflessly. Neither would there be hope for mankind's salvation. Like Paul says, if there is no resurrection, then we Christians are to be pitied more than anyone (1 Corinthians 15:17-19). But that isn't the case because Christ has risen! Jesus Christ was resurrected by the power of the Holy Spirit. The Holy Spirit brought Christ miraculously into the world at his birth, and brought Christ back into the world, alive and glorified, after his death. Many people find these things easily believable, but other people not so easily. Christ has risen by the power of the Holy Spirit - that's not too hard to believe, considering all the things God has done. Jesus' tomb was vacated and remains empty to this day. It was heavily guarded by Roman soldiers, who admitted that the tomb was vacated on their watch. Jesus' disciples could never have overpowered the guards. No corpse was ever discovered and presented to authorities, but Jesus himself presented himself to many people! Christ has risen! The Old Testament predicted his life, death, and resurrection (Ps 16:10); and the entire New Testament confirmed them. The disciples' lives changed remarkably after spending time with the resurrected Jesus Christ. They went from a distraught, broken band of followers, to a group of unified, bold preachers, all in a matter of days. Christ has risen! The names of the political leaders who tried and then sentenced Christ are historically accurate. The crucifixion and resurrection stories were verifiable based on the people involved. The places involved in the crucifixion events are all historically accurate. There were well over 500 eyewitnesses of Jesus' resurrection! This major fact eliminates the argument that claims the disciples saw hallucinations of Jesus. Five hundred people don't hallucinate simultaneously. Christ has risen! The secular historical documents of the day note his existence, death, and resurrection. The Roman calendar was framed around the life of Jesus Christ (BC = Before Christ; AD = anno domini, meaning "In the year of our Lord"). The major world religion of Christianity is based on his miraculous birth, death, and supernatural resurrection. Jesus is unique and worthy of our praises, for this reason alone: his empty tomb. 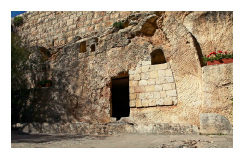 Christianity is based on Jesus' empty tomb. Jesus reveals himself to each of his true followers to this day (John 14:21). Jesus speaks to each of his true followers to this day (John 8:47). Christ has risen! Yes, he has risen from the dead. My favorite pieces of evidence above are numbers 10 & 11. Jesus revealed himself to me and speaks to me, just like he promised. That makes the first nine facts even more believable! Jesus proves his resurrection to us, when he agrees that we have properly devoted our lives to him. He probably won't show up in his glorified body to introduce himself, but, through the Holy Spirit he reveals himself in wonderful ways. Then, like Blaise Pascal, you'll be saying, "Instead of complaining that God had hidden himself, you will give him thanks for having revealed so much of himself!" Jesus proves himself (John 5:34), he doesn't need forensic evidence, but he is patient with those, like the disciple Thomas, who must see to believe. John 20:27-28 says, "Then [Jesus] said to Thomas, 'Put your finger here, and look at my hands. Put your hand into the wound on my side. Don't be faithless any longer. Believe!' Thomas exclaimed, 'My Lord and my God!'" If Doubting Thomas can believe, anyone can believe! You may wonder why the bloody death of Christ and his resurrection miracle were necessary. Maybe it was too extreme, you think? Jesus gives us a rather general glimpse in this passage spoken shortly before the events, "I have told you all this so that you may have peace in me. Here on earth you will have many trials and sorrows. But, take heart, because I have overcome the world." (John 16:33). Under God's authority, Jesus had to suffer trials and persecution so he could relate to humans (Hebrews 2:10; 5:8-9). 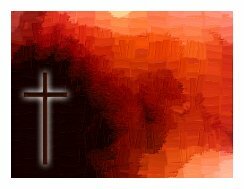 He also had to be the blood sacrifice, in order to appease God's wrath (Hebrews 10:10). Jesus had to defeat death by being resurrected from the dead, as well (1 Corinthians 15:25-26). The resurrection regained the keys to hell and death that Satan won in the Garden of Eden. Christ has risen in order to conquer evil and the multitudes of consequences that evil has wrought. Jesus' work was a complete victory for God, and for people who trust in him alone for eternal life. The final results haven't fully played out yet, but they will soon enough. We have today, though, it's our day to pronounce what we believe. Christ has risen! We can stand with the risen Lord, or fall with evil. Those are our two choices. Ask Jesus to reveal himself to you, if you haven't already met him in person. It's an amazing experience when he introduces himself. You'll never be the same. 1) Did Jesus have to be resurrected to become our Savior? If so, why did the Father require it? 2) Couldn't Jesus simply have stayed physically dead, but risen "spiritually?" 3) What would have happened to Christianity if the Jewish leaders or Roman soldiers had found Jesus' corpse? Dear Father, I'm so sorry that I contributed to the death of Jesus, but I'm overjoyed his death wasn't permanent. Praise you, God Almighty! Jesus, thank you for the suffering you permitted yourself to suffer for me. In the risen Christ's name, Amen. After sharing this page on Facebook or Twitter below download your FREE printable Bible Study Lessons: Christ Has Risen!, Lesson 1.22. Special Note: I'm grateful to Big Book Media & Free Bible Images, Stock Exchange, Morgue Files, and Stock Photos For Free for the use of their photos for this Bible study lesson.